I haven't had the opportunity to share my love for felt with you in this blog yet. But oh how I love felt. 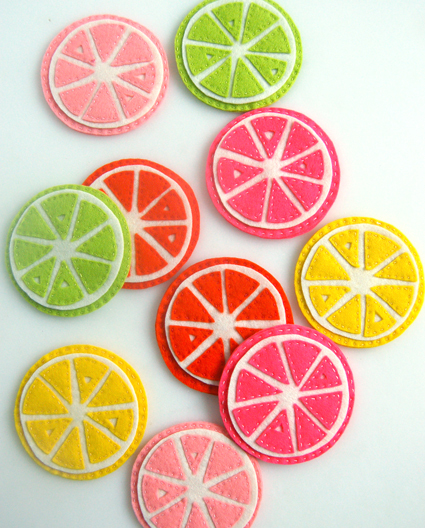 It's a fantastic material, very easy to work with and it comes in the best and brightest colors. I prefer to use the good stuff. 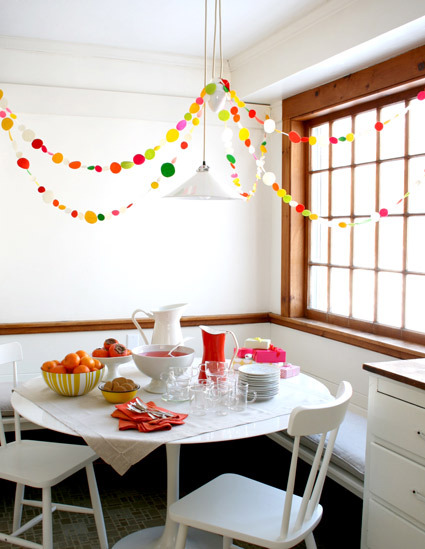 I am addicted to these garlands. I make them for every party or holiday that comes up, and I love how they add an instant party touch. A bonus is that this is a great project to make together with a child. No one will be able to tell if the circles aren't perfect. 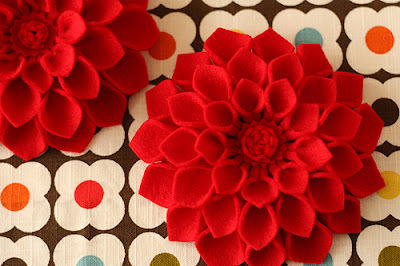 It looks really advanced, but a free tutorial for this lovely felt dahlia brooch is found here. Will you try it? I am so making these coasters before summer! 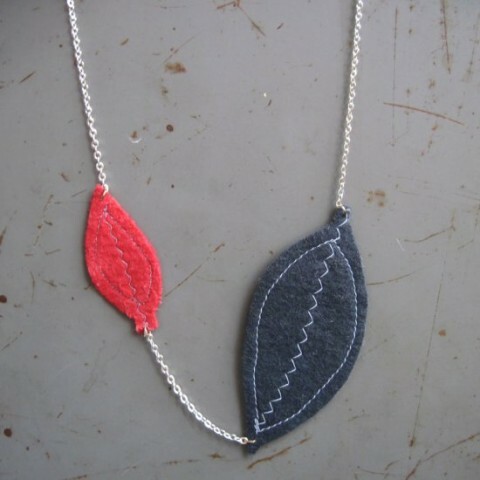 How about a felt necklace? I like it! 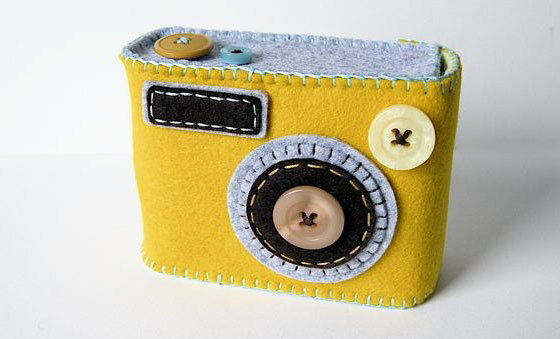 Last but not least, this awesome camera case is made by Hiné. She also makes fun iPhone cases. Made out of felt, of course. Summary in Swedish: Jag gillar filt! 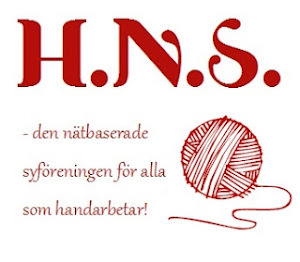 Här är fem saker i filt jag lagt upp på Pinterest. Följ mig här.